Tencent Music Entertainment Group (NYSE:TME) was in 25 hedge funds’ portfolios at the end of the fourth quarter of 2018. TME has seen an increase in activity from the world’s largest hedge funds in recent months. There were 0 hedge funds in our database with TME holdings at the end of the previous quarter. 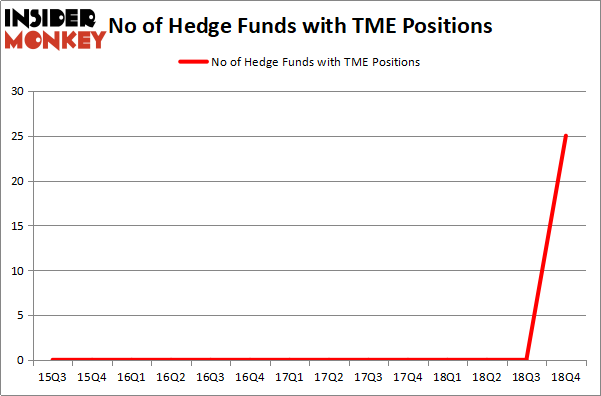 Our calculations also showed that TME isn’t among the 30 most popular stocks among hedge funds. Let’s take a look at the fresh hedge fund action surrounding Tencent Music Entertainment Group (NYSE:TME). 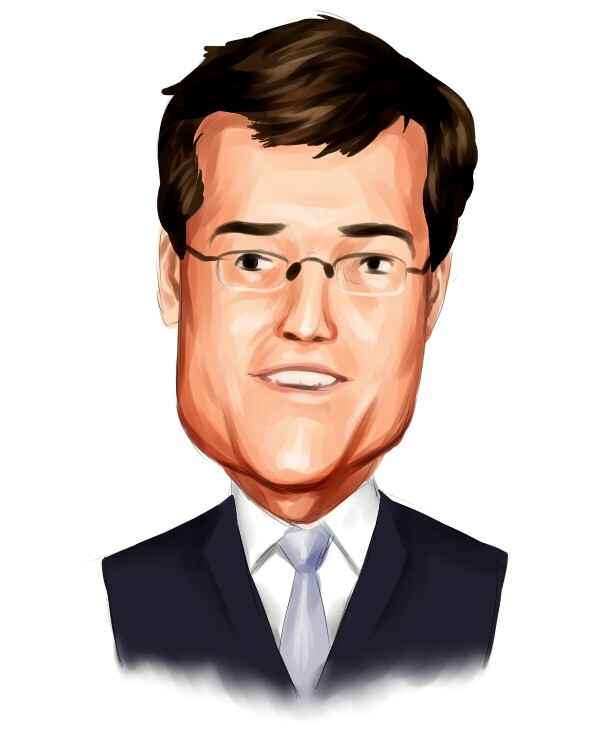 What have hedge funds been doing with Tencent Music Entertainment Group (NYSE:TME)? At Q4’s end, a total of 25 of the hedge funds tracked by Insider Monkey held long positions in this stock. Below, you can check out the change in hedge fund sentiment towards TME over the last 14 quarters. So, let’s check out which hedge funds were among the top holders of the stock and which hedge funds were making big moves. The largest stake in Tencent Music Entertainment Group (NYSE:TME) was held by Tiger Global Management LLC, which reported holding $68.4 million worth of stock at the end of September. It was followed by Alkeon Capital Management with a $66.7 million position. Other investors bullish on the company included Coatue Management, Kingstown Capital Management, and D1 Capital Partners. Consequently, key hedge funds have jumped into Tencent Music Entertainment Group (NYSE:TME) headfirst. Tiger Global Management LLC, managed by Chase Coleman, created the largest position in Tencent Music Entertainment Group (NYSE:TME). Tiger Global Management LLC had $68.4 million invested in the company at the end of the quarter. Panayotis Takis Sparaggis’s Alkeon Capital Management also initiated a $66.7 million position during the quarter. The other funds with new positions in the stock are Philippe Laffont’s Coatue Management, Michael Blitzer’s Kingstown Capital Management, and Daniel Sundheim’s D1 Capital Partners. Let’s now take a look at hedge fund activity in other stocks – not necessarily in the same industry as Tencent Music Entertainment Group (NYSE:TME) but similarly valued. We will take a look at McKesson Corporation (NYSE:MCK), Xilinx, Inc. (NASDAQ:XLNX), CRH PLC (NYSE:CRH), and Dollar Tree, Inc. (NASDAQ:DLTR). This group of stocks’ market values are similar to TME’s market value. As you can see these stocks had an average of 38.25 hedge funds with bullish positions and the average amount invested in these stocks was $1332 million. That figure was $317 million in TME’s case. Dollar Tree, Inc. (NASDAQ:DLTR) is the most popular stock in this table. On the other hand CRH PLC (NYSE:CRH) is the least popular one with only 8 bullish hedge fund positions. Tencent Music Entertainment Group (NYSE:TME) is not the least popular stock in this group and hedge fund interest is still below average. Our calculations showed that top 15 most popular stocks among hedge funds returned 19.7% through March 15th and outperformed the S&P 500 ETF (SPY) by 6.6 percentage points. Hedge funds were also right about betting on TME as the stock returned 38.2% and outperformed the market by a large margin as well. Here is What Hedge Funds Think About BT Group plc (BT) Is IQVIA Holdings, Inc. (IQV) A Good Stock To Buy? Hedge Funds Dropped The Ball On Fortive Corporation (FTV) Were Hedge Funds Right About Souring On Canon Inc. (NYSE:CAJ)? Here is What Hedge Funds Think About AutoZone Inc. (AZO) Were Hedge Funds Right About Flocking Into Sempra Energy (SRE)?